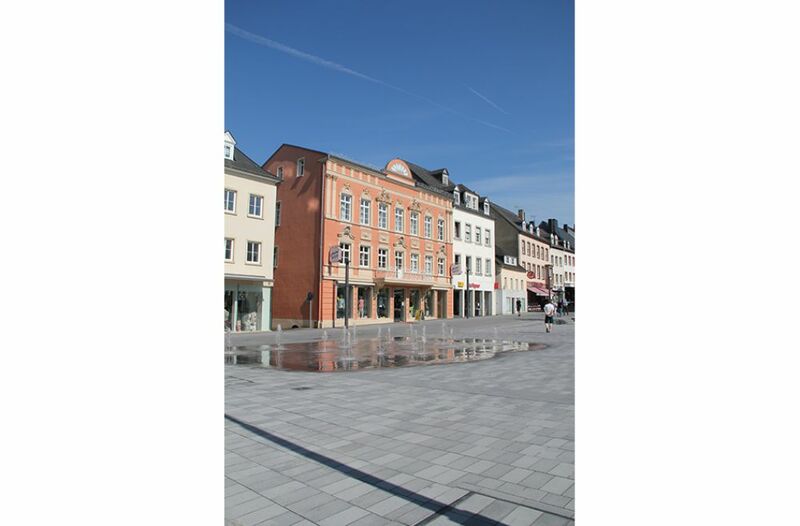 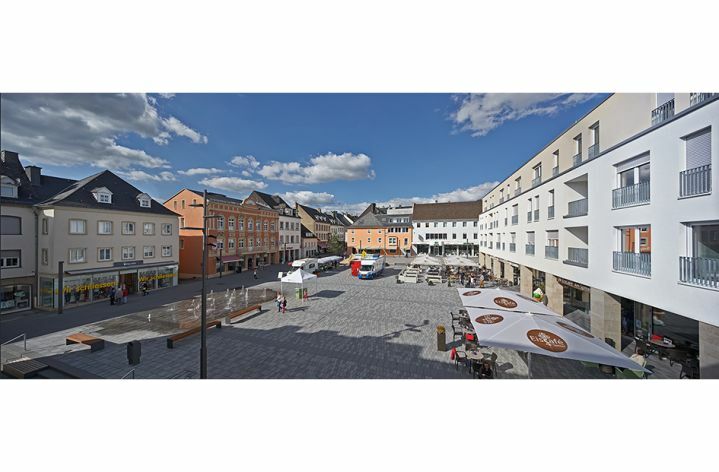 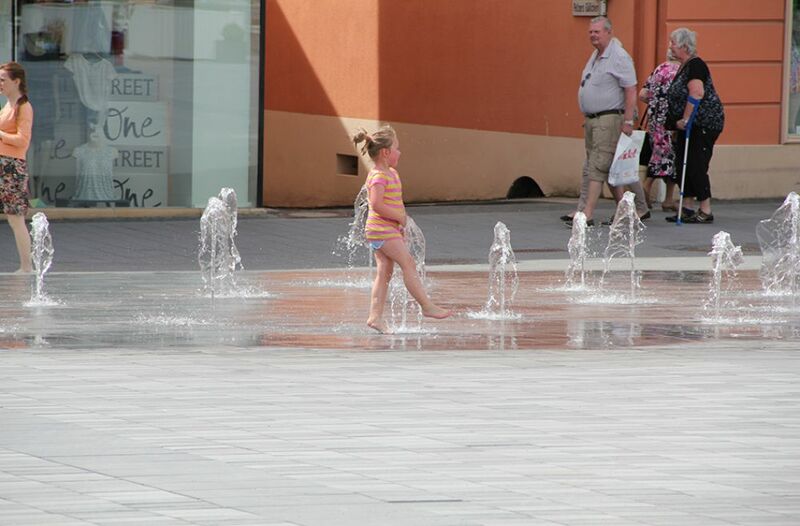 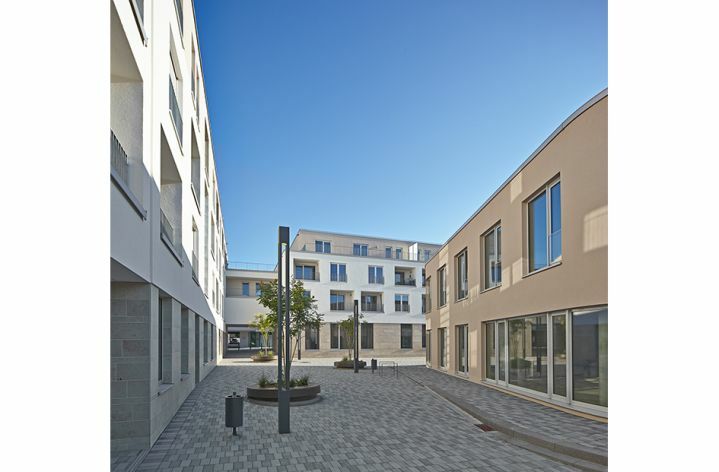 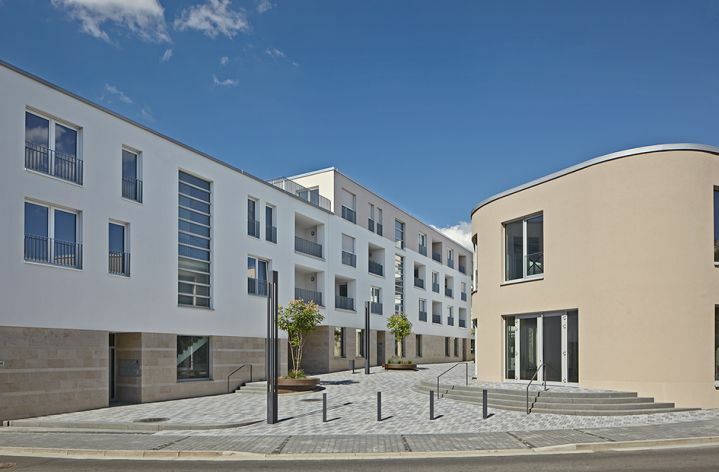 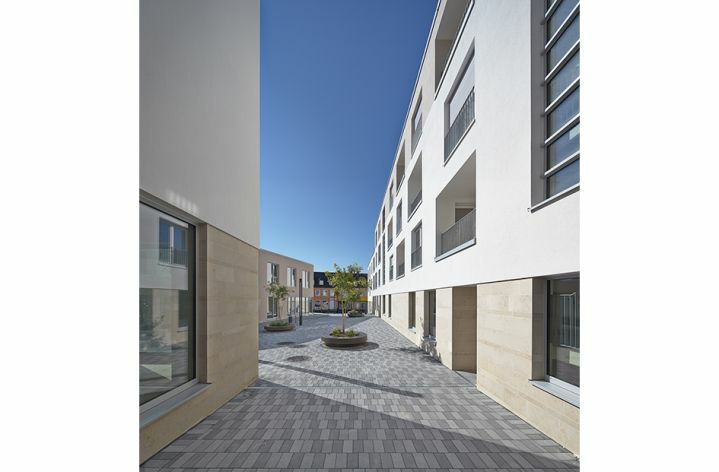 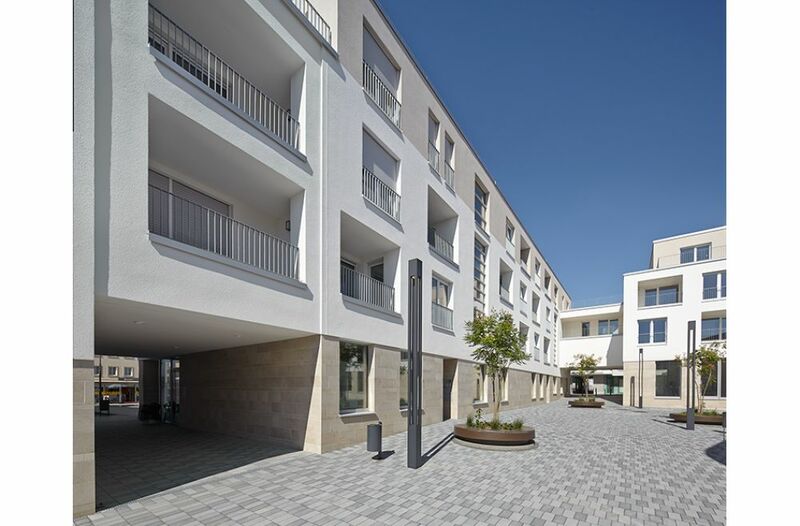 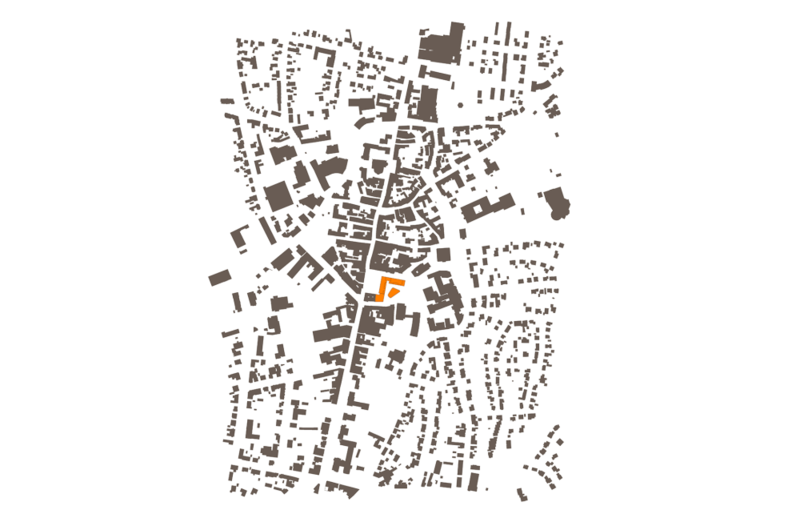 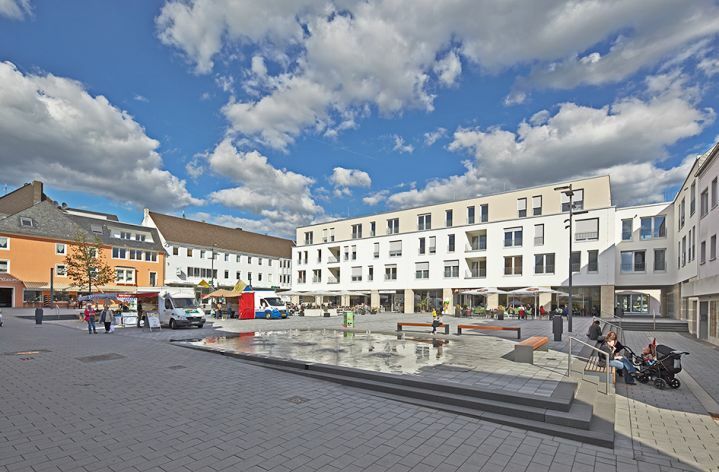 On the outskirts of the former city boundary, the new post office quarter forms a town entrance at the start of the pedestrian zone – a new meeting point for visitors and residents of the town of Bitburg, the heart of the Eifel. 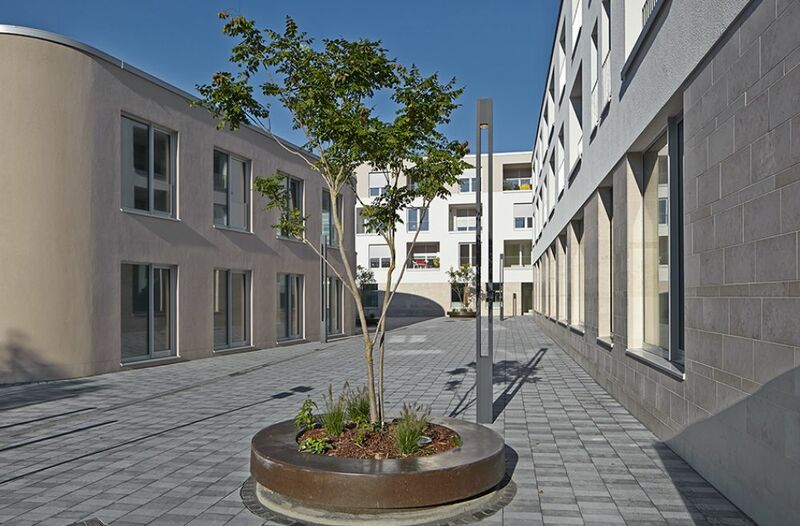 The key project of the post office quarter, through ensuring high-quality and sustainable new uses featuring an adapted inner-city assortment of trades, service provisions and housing, will lead to the desired revival of the precinct. 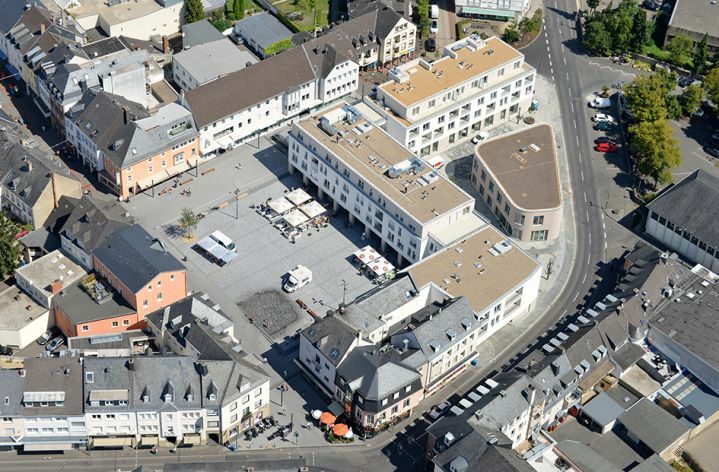 Supported by a high-end gastronomy, e.g. 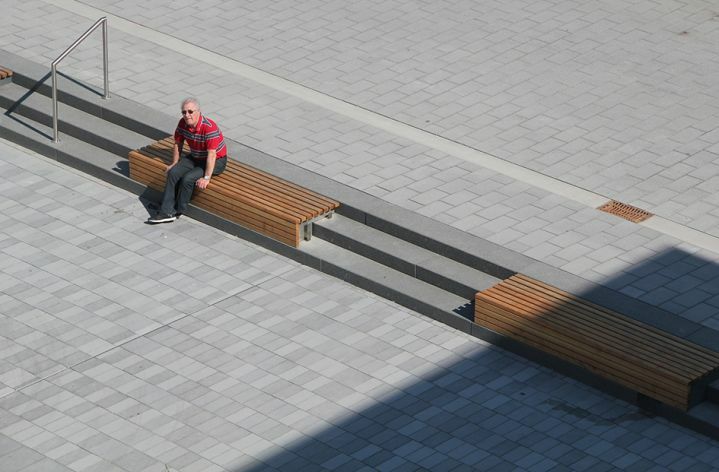 daytime cafés with outside seating and wide public steps where people can sit, the place will come to life and encourage the public to linger.